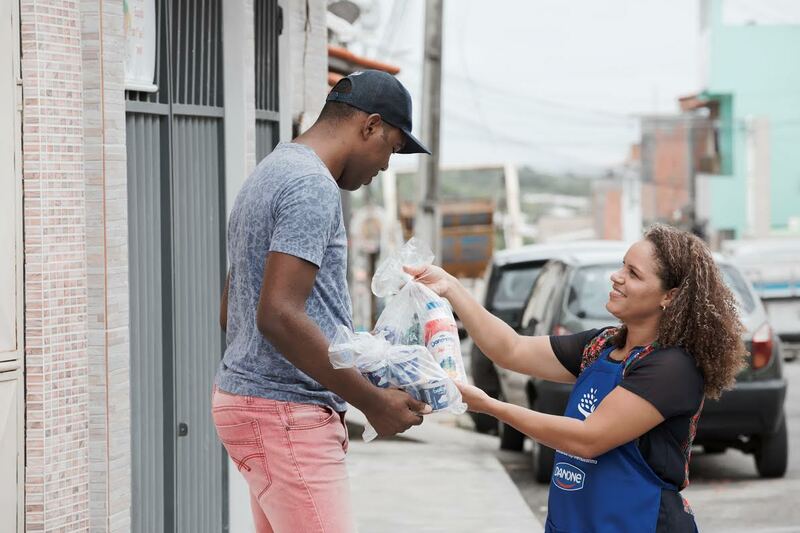 To improve the living conditions for women in low income communities in several Brazilian cities (Salvador, São Paulo, Fortaleza…), Kiteiras project promotes an inclusive business model by providing them with jobs as door-to-door vendors. Brazil is well known as a country with high wealth inequality and women in underprivileged communities suffer the most, especially single mothers, most of whom have no choice but to accept informal and underpaid jobs. With the support of the Danone Ecosystem Fund, Danone Brazil and its local partners, Visao Mundial, Aliança Empreendedora and the Interamerican Development Bank, the Kiteiras project is a direct-to-consumer distribution program devoted to women from the poorest communities of Brazil. The program creates a micro-distribution network of door-to-door vendors managed by Godmothers who are responsible for the Kiteiras’ personal and professional development, as well as new vendors recruitment. It also contributes to empowering women through training in entrepreneurship, adapted nutrition and life skills. In supporting the development of formal economic activities in poor areas of Brazil, and contributing to the empowerment of women, Danone Brazil creates a new direct-to-consumer distribution channel and develops consumers’ brand preference.